Teco Flour! — these two words are the secret of thousands of discriminating housewives the country over. Many a pancake reputation rests on them. Many a man goes to a day's work cheerier because of that Teco taste! 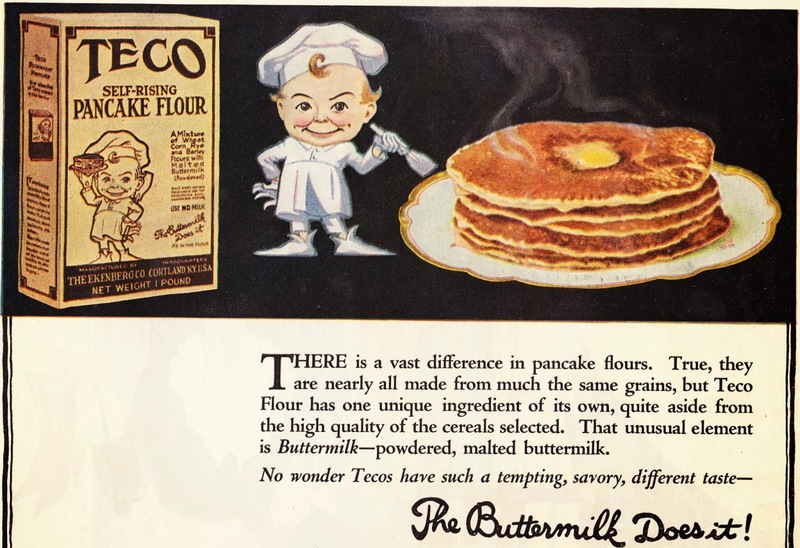 Whether or not you regularly observe Teco Tuesday, send for "The Buttermilk Book," by Mrs. Ida C. Bailey Allen. It gives many tasty Teco recipes.